Mathematics has been behind many of humanity's most significant advances in fields as varied as genome sequencing, medical science, space exploration, and computer technology. Where will mathematicians lead us tomorrow and can we help shape that destiny? 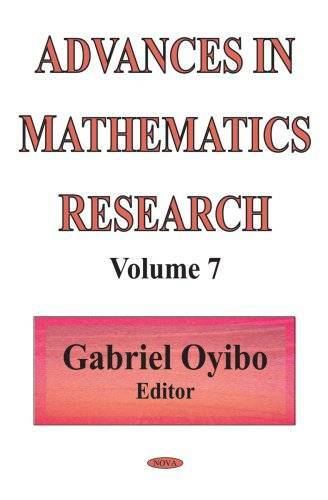 This book assembles articles explaining the research and scholarship in mathematics. This is a comprehensive overview of the basics of fuzzy control, which also brings together some recent research results in soft computing, in particular fuzzy logic using genetic algorithms and neural networks. "Volume 210, mumber 990 (end of volume)." "Volume 215, number 1011 (second of 5 numbers)."